Today (Saturday 22 September 2018), the Co-op announced an end to single-use plastic. It will see around 60 million plastic carrier bags removed in a phased rollout and replaced with an environmentally-friendly alternative. The move is part of a new hard-hitting ethical strategy to be launched later this week by the Co-op, which will tackle plastic pollution as well as food waste, healthy eating, saving energy and trading fairly. The blue-print sets out how the Co-op will ban single-use own-brand plastic products and reduce its overall use of plastic packaging within five years and stop using hard to recycle materials, like black plastic. And as part of the commitment, lightweight compostable carrier bags, which can be used to carry shopping home and then be re-used as food waste caddy liners, will be rolled out to almost 1,400 Co-op food stores, initially in towns, cities and villages where the bags are accepted in food waste collections*. The Co-op’s pledge on plastic will see all its own-brand packaging become easy to recycle by 2023. It has promised to use a minimum of 50% recycled plastic in bottles, pots, trays and punnets by 2021. The Co-op’s initiative to ditch single-use plastics will see it increase recyclable packaging and materials. Almost three out of four products that the Co-op makes are now widely recyclable, which accounts for 95% of its products when measured by weight. It has reduced hard to recycle plastics, such as pizza discs, sushi bases and cooked meat packaging but promises to go further. Its reductions in plastic use, combined with its new pledge on carrier bags, is the equivalent to 125 million plastic water bottles** being taken out of production. 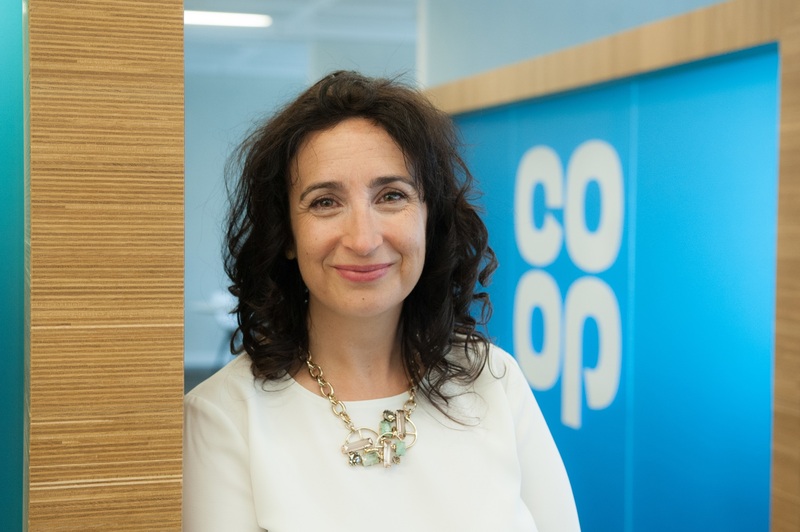 Jo Whitfield, Retail Chief Executive, Co-op, said: “The price of food wrapped in plastic has become too much to swallow and, from today, the Co-op will phase out any packaging which cannot be reused. She added: “Our ban on single-use plastic is central to our new ethical blue-print. The Co-op was founded on righting wrongs, and we first campaigned to stop food fraud. Now we face huge global challenges and have created a recipe for sustainability to source responsibly, treat people with fairness and produce products which have minimal impact on the planet. The Future of Food report will be unveiled at a supplier conference on Thursday 27 September 2018 and will set out Co-op’s vision to tackle a range of topics including food waste, Fairtrade and energy. It has been developed to meet the UN’s sustainable development goals to end poverty, protect the planet and ensure prosperity for all by 2030. The Co-op already sources 100% renewable energy for its stores, but will go on to tackle greenhouse emissions through its logistics operations. In addition, Co-op will reduce energy, water and waste in its supply chain. It will continue to campaign for the rights of workers in its supply chain, having raised the issue of modern slavery, and will raise funds to bring clean water to communities in developing countries. *The new bags will substitute standard plastic single-use carriers with fully certified compostable carriers of the same size and strength at 5p. The change will initially be in stores where compostable carriers are accepted in food waste collections. Co-op will be speaking with the remaining local councils to seek to extend coverage to more stores.